While Poirot investigates the murder of a renowned psychiatrist, Ariadne Oliver becomes an amateur sleuth of her own when her goddaughter tasks her to find out the truth about the nature of her parents' mysterious deaths. Poirot's pursuit of an infamous art thief leads him to a snowbound hotel in the Swiss Alps, where he is met with a plethora of mysteries and the reappearance of a familiar face from the past. 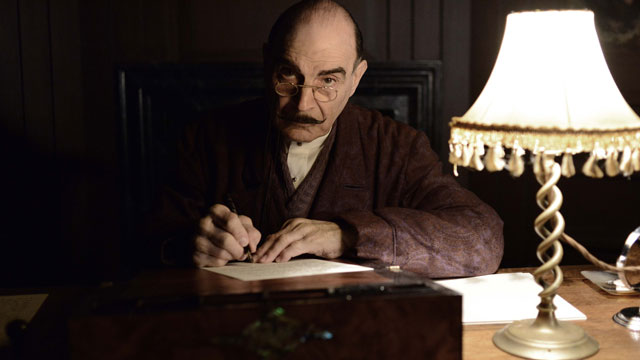 An ailing Poirot returns to Styles with Hastings nearly three decades after solving their first mystery together there in order to prevent an unscrupulous and ingenious serial killer from claiming more victims.